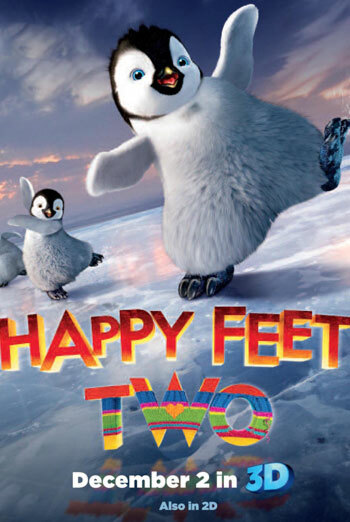 HAPPY FEET TWO is an animated film about penguins facing various threats to their lives and environment. It was classified 'U' for mild threat. There are some scenes of mild threat. For example: a penguin is chased by a pair of sharks; an elephant seal falls through the ice and briefly disappears before being discovered alive; an elephant seal is bitten on the behind by a krill and awakens with a roar before chasing it through the water; and a flock of scavenging birds swoop down and attack the penguins before being driven away. The BBFC's Guidelines at 'U' state 'Scary sequences should be mild, brief and unlikely to cause undue anxiety to young children'. The scenes often feature comic elements and any threat is swiftly resolved, with a reassuring outcome.